The National Latino Evangelical Coalition will be working with faith-based organizations across the country to open up 600 beds to Central American children who have crossed into the country without their parents. President of the NaLEC Gabe Salguero explained that over a period of 18 months, starting in August, churches and camps will likely receive thousands of children — the majority of whom are from Honduras, Guatemala and El Salvador — while they are waiting to be placed with their parents who are already in the United States or family members in the countries they are from. "We have 15 partners on the ground where we're housing the kids, we're receiving them, feeding them, providing them with education," Salguero told The Christian Post, noting that the sites are located in Texas, Florida, Illinois, New York and California. NaLEC applied for grant funds earlier in 2014. This new program falls under NaLEC's larger Refugio initiative, a short-term and long-term response to the thousands of unaccompanied minors who have dominated headlines in recent weeks. In addition to hosting children and attending to the needs of those already here, Salguero's organization will also look to legally "address the root causes of this crisis" by partnering with "the Alianza Evangélica Latina and other allies in Latin America to call for governments in Honduras, El Salvador, Guatemala and Nicaragua to provide better security against the increased gang-violence while providing better promises of education for these children." It also seeks to influence domestic foreign policy to create a more effective aid policy and intends to lobby for "stronger laws against human-trafficking and exploitive practices of 'coyotes' in the most adversely sending countries." Salguero, a longtime advocate for immigration reform has met with both President Barack Obama and Vice President Joe Biden in recent weeks to discuss these issues. On Wednesday, he will head to Texas where he intends to visit a detention center and host a press conference with other Christian leaders. The Nazarene pastor said that his message to politicians is one that is deeply personal to Latino Evangelicals. "The church is ready, especially Hispanic Evangelicals, because we speak the language of these children, we know their realities, we're culturally sensitive, many of us have lived in these countries, we served in those countries," he said. Because of these connections to both sides, Salguero said he and those in his network have been working with Christian media in these countries to set the record straight about the realities of American immigration policy. 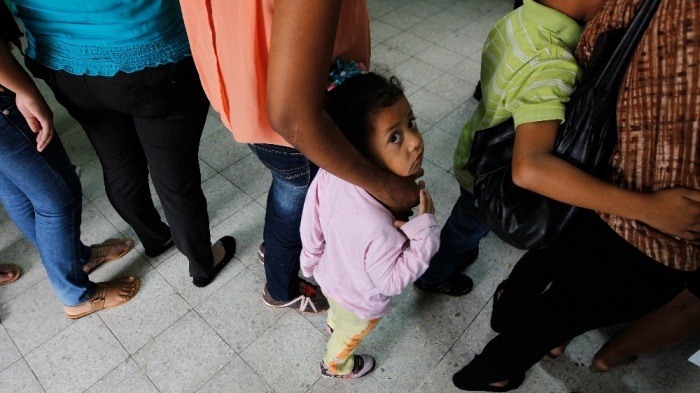 Lack of clarity about what one's legal status may look like upon crossing the border is only one of the forces driving children up North, suggested Salguero, also pointing to the rampant violence and economic deprivation in the countries, along with the fact that many have parents in the States whom they have been separated from for years. "One mother told me she paid $7,000 to bring two of her kids. I mean this woman is barely making it. She had to borrow," said Salguero. "But she had been away from her child for 11 years." "There's a really, really, really strong push by these coyotes in those countries. They're really lapping up, and promoting messaging saying 'Come, now is the time,'" he added. "It's a major industry. It's a lot of money." In an op-ed for Time Magazine last week, Salguero acknowledged there were "no easy answers." "If we are to move forward, we must work together in hope. Hope requires sacrifice and courage. This hour in American history will tell how strongly the evangelical church in America holds to these virtues," he wrote. "Will evangelicals step forward and asked for increased resources for security, education and sustainable development in Honduras, El Salvador, Guatemala and Nicaragua? Will we refuse to allow people to blame children for the broken immigration systems? The church cannot be silent as angry groups of people stoking the flames of fear yell at buses filled with helpless immigrant children and women."